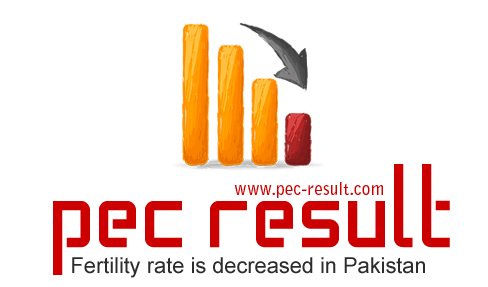 Pakistan has finally showed some improvement in decreasing the fertility rate due to the effect of the trends of the family planning being inculcated in families. According to a survey, the fertility rate has been decreased to 3.8 births per woman with the acceptance of the family planning in the modern families. The trend has been increased up to 54 percent. The survey was launched by National Institute of Population Studies named as “the Pakistan Health and demographic survey” in a ceremony in Islamabad Wednesday. The findings of the survey said that the fertility rate of women in Pakistan has been decreased from 5.4 births per woman to 3.8 births and the reason is the acceptance of the family planning in the modern families. The survey stated the facts about the mortality rate and said that one in fourteen child do not see their first birthday and one in every eleven kids dies before reaching the age of 5. The survey said that the 8 percent of the total women of aging 15 to 19 are either pregnant or mothers. The survey added that teen fertility has been decreased from 16 percent in 1990 to 8 percent till today.Young motherhood is highest in the Khyber Pakhtunkhwa (10 %) province and the least in the Gilgit Baltistan region (7 %). Twenty five percent of the total women of age 25 to 49 were married by the age of 18 and 54 percent of them were married by 20. This shows that the age of the first marriage in the country is rising. The survey also said that 4 percent of the currently married women and 3 percent of the currently married men are in polygynous unions.